The exterior of your business is what makes the first impression as customers or guests arrive, which is why the signage you use to point people in the right direction can make a big difference. With attractive outdoor signs, you can entice passersby or express the look and style of your business. Learn more about sign blanks, there many uses and how to choose the right signs. Made from cellular PVC, this sign blank is completely rot-proof and resists warping, fading, and cracking. That makes it a low-maintenance signage solution and a great value. As you begin your search for PVC sign blanks, consider the look you are trying to achieve and how well a particular design will reflect your business. 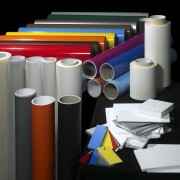 The Rectangular PVC Sign Blanks are the most versatile and are used for just about any form of industry. 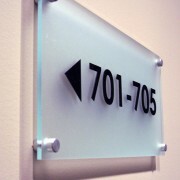 The simple shape makes it easy to have custom graphics printed that you can attach to the surface of the sign blank. Perfect for displaying your business hours or contact information, apply your own graphics or vinyl paint to the durable PVC surface. 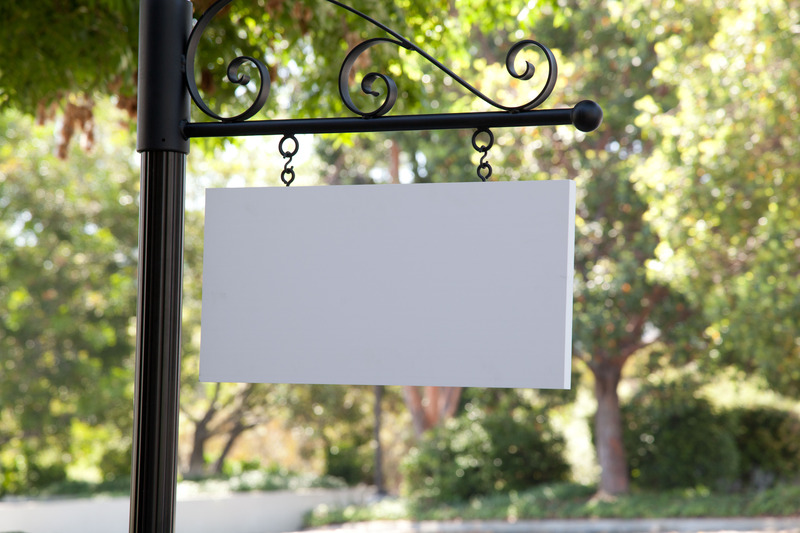 You could also use a rectangle sign blank as your main business banner along the exterior of your building. For similar uses, but with a less bold design, look over the Radius Corner PVC Sign Blanks. As with the rectangle sign blanks, you will have no problem attaching custom graphics. The rounded corners offer a softer, more subtle appearance. 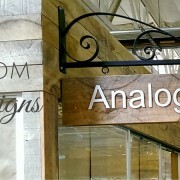 For a more unique look, the charming shape of the Cottage Style Sign Blank will help our sign stand out more. If you want your signage to stand out more, you may want to consider using Oval Premier Sign Blanks. These sign blanks are a wonderful choice for adding your business logo outside your building and are useful for attracting the attention of people walking by. 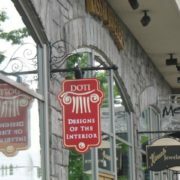 The Cottage Style Sign Blanks feature a design that has been made popular by restaurants and inns for years; though, they are not the only types of businesses that will benefit from these elegant signs. The scrollwork-style edging will stand out and grab attention easily. While you could use a cottage style sign blank for showcasing your business logo, there are also a great option for displaying store specials, hours, or other information that you want people to notice. These cellular PVC real estate sign blanks are ready to decorate with paint or cut vinyl graphics. 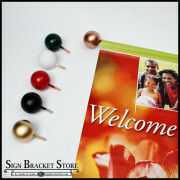 Sign blanks are also a great option for realtors. 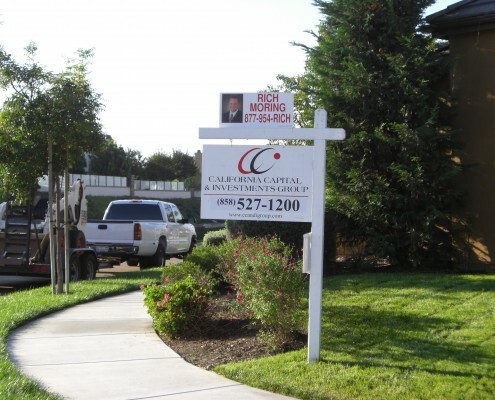 Real Estate Sign Blanks allow you to add your own property and agent information. Sold in packs of 6, these PVC sign blanks feature a bright, white surface for clearly displaying any graphic. Create your own attractive display using custom graphics, vinyl paint, or cutouts. 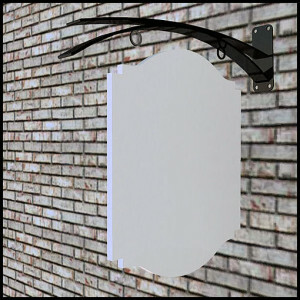 When choosing PVC sign blanks or sign panels, it is important to pay attention to sizing, as they are commonly hung away from an exterior wall. Depending on your business location, there may even be additional restrictions as to what you can display outside of your business. Use this Blade Sign Bracket Buying Guide to learn more about choosing the best sign brackets based on the size and style of your sign. With high-quality aluminum or PVC sign blanks, you can design and decorate your own custom sign for the exterior of your business. Give your customers the first impression that you want to express. Browse our site and select from a wide assortment of sign blanks available in different sizes, styles, and designs. For custom orders, contact us at the Sign Bracket Store today. 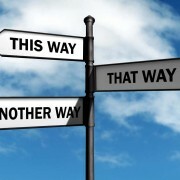 Bad Wayfinding Signs? Those Who Wander May Be Lost. I’ve always liked the look of PVC signs. The way they hang from a wall gives them a classy look. Thanks for the post!